Breathwork intensives are a dynamic, powerful experiential method for personal growth and spiritual opening. Bring us closer to the truth. The times a-comin’ for rebirth. Join us for a day of inner journey work in the context of loving community and curious exploration of the worlds within and beyond. Integrative Breathwork is a whole-brained inner depth journey done lying down with eyes closed, facilitated with chakra music and rhythmic breathing for cleansing, self-awareness, and spiritual connection. Journey with other women dedicated to self-discovery and authentic living. Facilitated by Patricia Stout, LCSW. 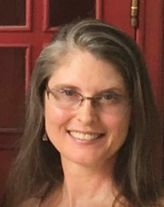 Patricia is certified as a facilitator of Integrative Breathwork and Psycho-Spiritual Integration and has been holding workshops for this deep process since 1991. She is trained in many healing arts modalities, and this is the one she finds the most deeply transformational. The work is based in western mystery school, transpersonal psychology, modern consciousness research, and Psycho-Spiritual Integration (PSI). Patricia's breath journey training is over 1,000 hours with Jacquelyn Small, MSSW, Dr. Stanislav Grof, Jack Kornfield, PhD and Jim Morningstar, PhD. Please register and pay in advance online to secure your spot. Pay in full - or minimum of $20 non-refundable deposit. A minimum of 6 participants must be registered with deposit by May 13 in order for the workshop to be confirmed. Women only, please.